Ceviche is easy, fresh, and the perfect light summer treat! 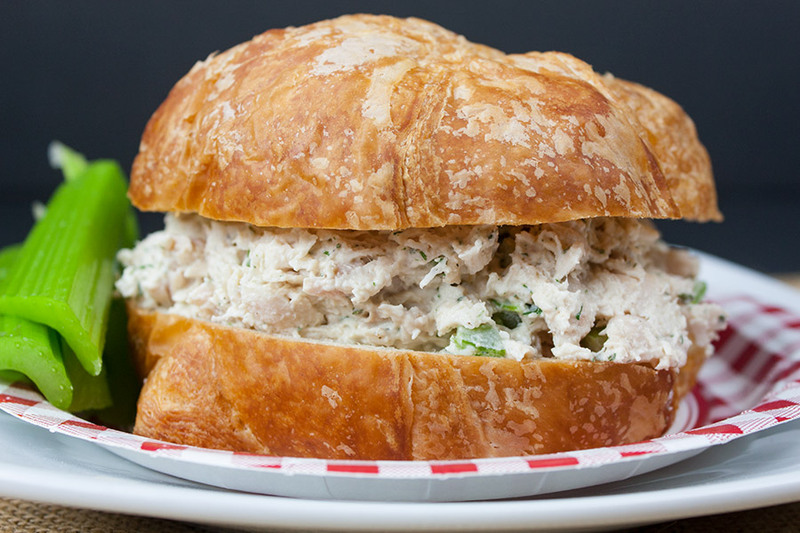 It’s packed full of tangy citrus flavor with bits of crunch from onion and peppers. You can make it as mild or spicy as you like. If you like a spicy ceviche recipe, leave the seeds and veins in the jalapeno or add more. Now picture yourself chilling in the shade with a bowl of cool and refreshing ceviche in one hand and a Honeydew Margarita in the other. 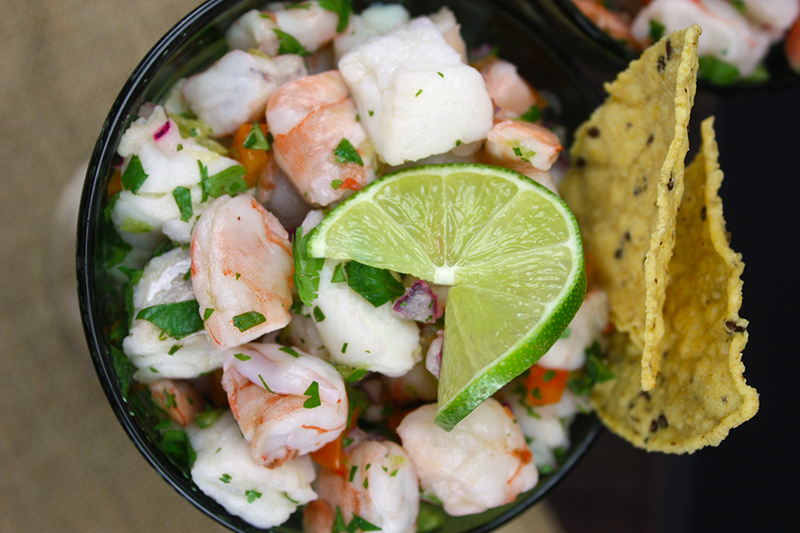 Fresh shrimp ceviche and an icy margarita sounds like a pretty good day to me. Chop all ingredients, juice the limes, lemons, and oranges. Mix the citrus juices with the ingredients and refrigerate for 1 1/2 hours to 2 hours. Don’t sweat it, the citrus juices cook the shrimp and fish. See the shrimp is pink and fish is solid white! 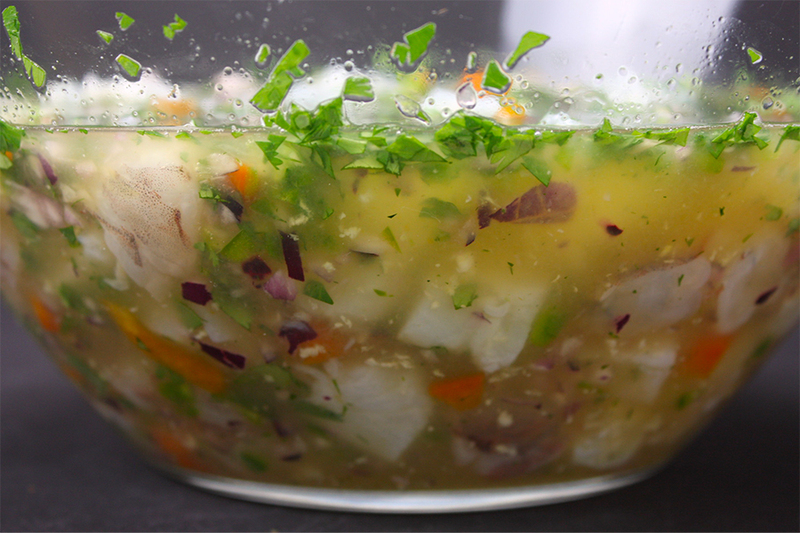 Enjoy this perfect crisp and refreshing ceviche recipe during those hot summer days! Serve with tortilla chips or just straight up. You can also prepare this dish for your friends! 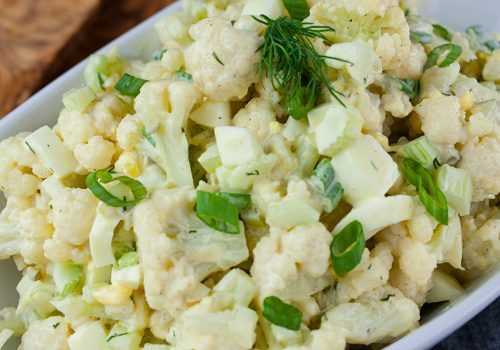 This is a perfect dish to serve at parties or get-togethers. It comes together so fast and is so fresh and delicious. Enjoy! 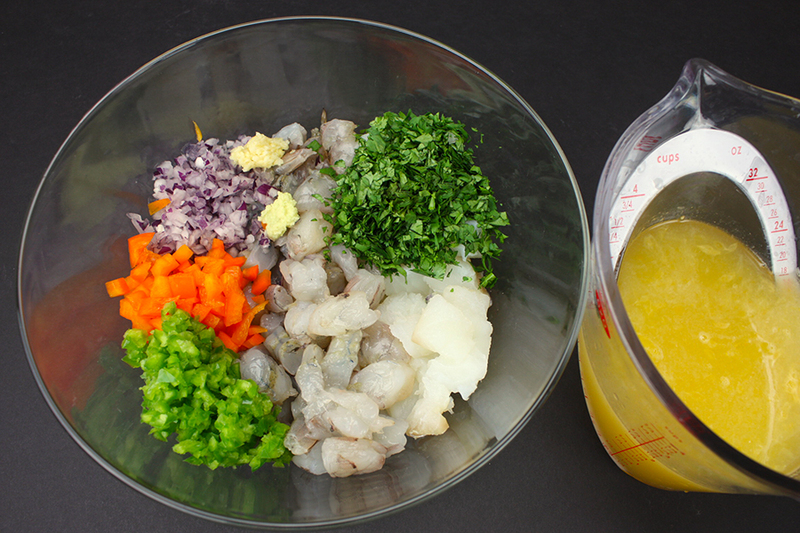 This quick and easy ceviche recipe with shrimp and cod is fresh and tangy. Perfect for summer! Dice shrimp and fish into 1/2" cubes. 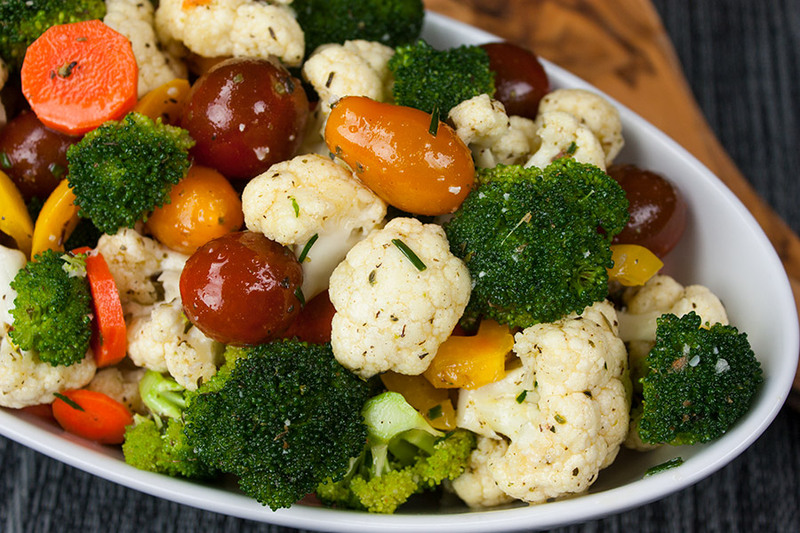 Dice all vegetables into small pieces, squeeze lime, lemon, and orange juices. Mix all ingredients and refrigerate for at least 1 1/2 hour to 2 hours. 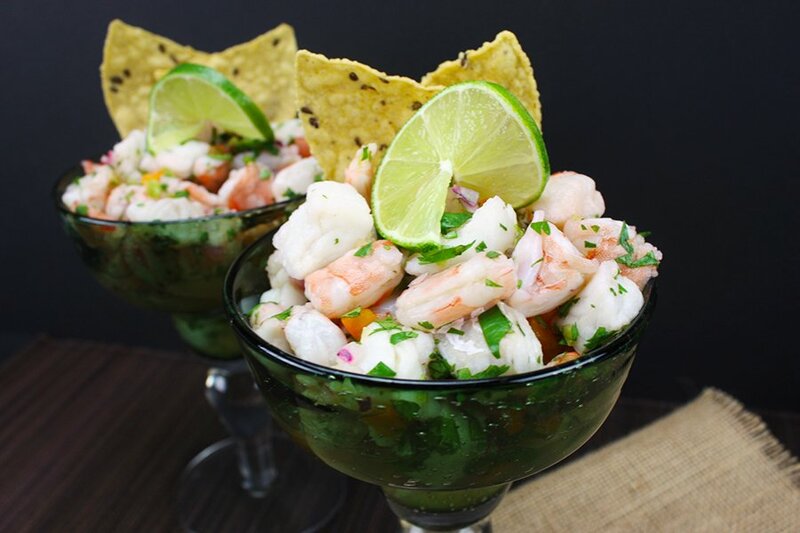 I love ceviche- it’s so light and refreshing- perfect for summer! I can’t wait to taste yours! Me too, Jessy! Thank you for coming by! 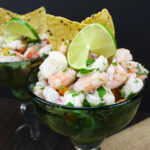 I love Ceviche and this looks like a great recipe, just delicious. I really appreciate you sharing with us at Full Plate Thursday and hope you have a great weekend! I have never made ceviche, when I was younger I thought that the seafood wasn’t cooked through and I wouldn’t even try it. Now I love it. I have no idea why I’ve never made it, it’s right up my tastebud’s alley! 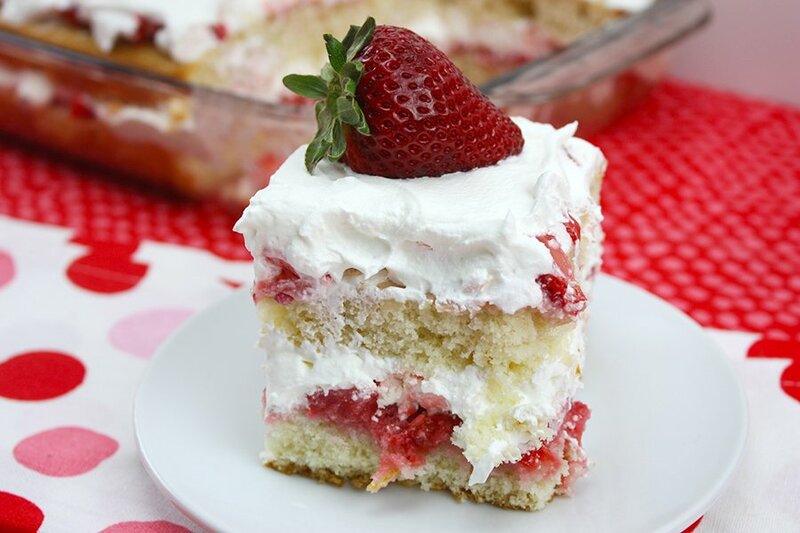 I’ve pinned, stumbled and yummed, I am determined to try this, it looks gorgeous! Oh wow, this looks great! I didn’t get a chance to make it yet, but I am featuring it as one of my additional features at You Link It, We Make It this week! 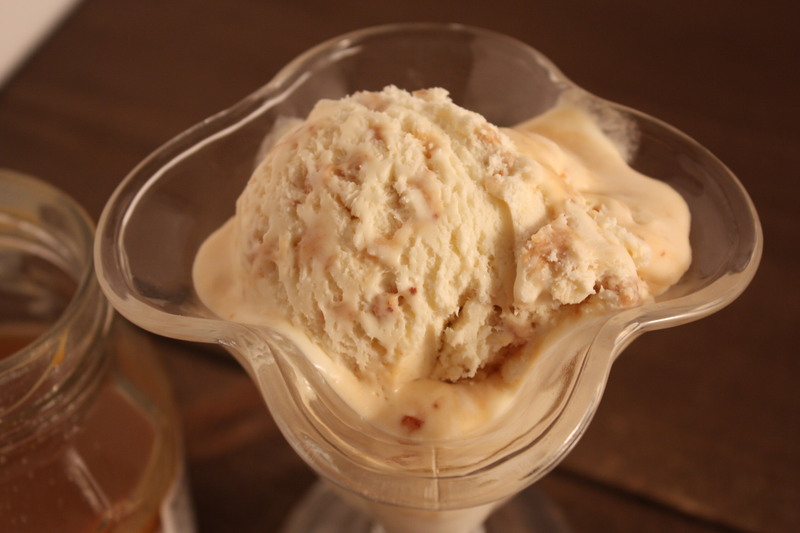 Thanks for the awesome recipe and hope to see you back at the party tomorrow! I’m fascinated by how the citrus cooks Ceviche. I’ve always been a little nervous about eating it, but once I taste it, I love it! Your recipe looks delicious. Thank you for sharing with us at the Hearth and Soul Hop. OMG this looks amazing!! I think it is perfect for summer!! Along side your Mojito…lol!! 🙂 I am featuring your Ceviche this week. Thanks for sharing on My 2 Favorite Things on Thursday! Pinned! 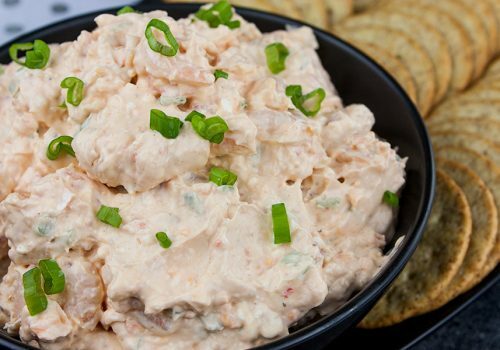 Your recipe was featured on Full Plate Thursday this week. Hope you enjoy your new Red Plate and have a great week! My fiancé and I just tried this recipe for the first time and loved it! We used rockfish (instead of cod) and substituted half of the oj with Silver Tequila! Nice twist!! Thanks for the awesome recipe! We are so happy you loved the recipe. It’s one of our fav’s too. Stephanie, thank you so much for coming by to tell us! This is the second time i try this recipe and for some reason the ceviche keeps coming out super bitter :(. What am i doing wrong? I substituted the cod and shrimp for corvina and flounder. Any suggestions on how to fix it? Hey, Ana. Make sure you aren’t squeezing the citrus fruit too much. See this article https://lifehacker.com/stop-trying-to-squeeze-out-all-the-lime-juice-over-squ-1737604623. I hope this helps. Thanks so much for coming by! Would juicing the citrus work or would that make it too bitter? Hi, Sarah. The citrus is to be juiced when making this recipe. Thanks so much for coming by! How long can we prepare it in advance? Hi, Lucie! Ceviche is really not a make-ahead type dish. You can do all the prep work ahead, like juicing the citrus and chopping the ingredients. Then toss the ingredients with the citrus juices about 1 1/2 to 2 hours before serving. Thank you so much for coming by!